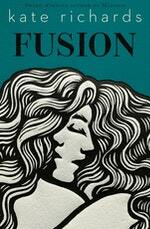 Award-winning memoirist Kate Richards discusses the genesis of her debut novel, Fusion. Fusion began with several interrelated questions to which I had no answers but which fascinated me: What would it be like to never, ever be alone? If a pair of identical twins lived a completely isolated life, how might they come to understand themselves as individuals? What kind of relationship would they form with each other? How would they respond if that relationship was challenged? 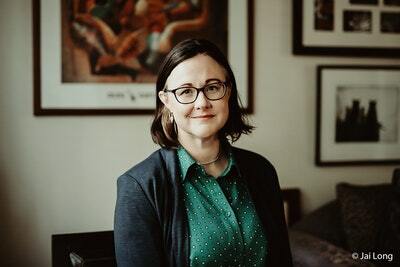 Then I realised that the joy of fiction meant I could explore these questions and the connected themes of secrets and intimacy within the most concentrated and intricate kind of relationship between two people – conjoined twins – united bodily but possessed of separate personalities. In Fusion, Sea and Serene are adult conjoined twins who have two heads, one complete body and cannot ever be separated. They live deep in the alpine wilderness with their young cousin, who one day brings home an injured stranger. Over a period of weeks the twins come to the horrifying realisation that as they enfold the stranger into their lives, their relationship with one other destabilises and threatens to fall apart. Conjoined twins have always been a source of fascination. Their birth was initially viewed as a sign of impending disaster. This was followed by a prolonged period through the Middle Ages and into the nineteenth century when they were regarded as freaks or monstrosities. My background in genetics, medicine and medical research allowed me to read and carefully consider the scientific literature about identical and conjoined twins. Quite a lot of fascinating research has been done with many pairs of conjoined twins: looking at their coordination, how their hearts and lungs work, how their brains accommodate one another, and of course, all of the visceral and emotional challenges that come with never being apart. Several younger pairs of twins have also made documentaries and written their own work. But Fusion isn’t a clinical examination or a study of physiology or a work centred on hardship and sorrow. Rather, it is a celebration of different kinds of ability and difference. I’ve thought about what it might feel like pretty much every day for the last three years, read scholarly articles and interviews, watched videos, but in the end, imagination and the words themselves make a story. A haunting, compelling first novel by the author of the award-winning Madness: A Memoir.